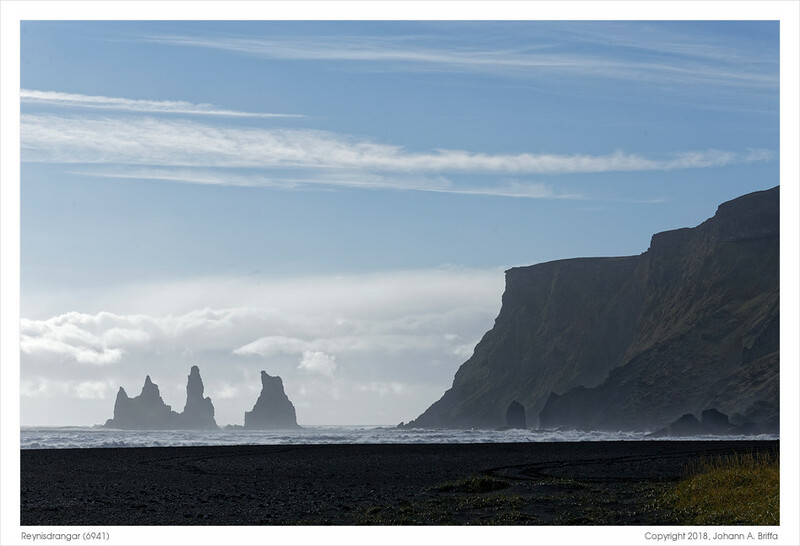 This week I thought I’d share another two photos from our stop at Vík í Mýrdal. 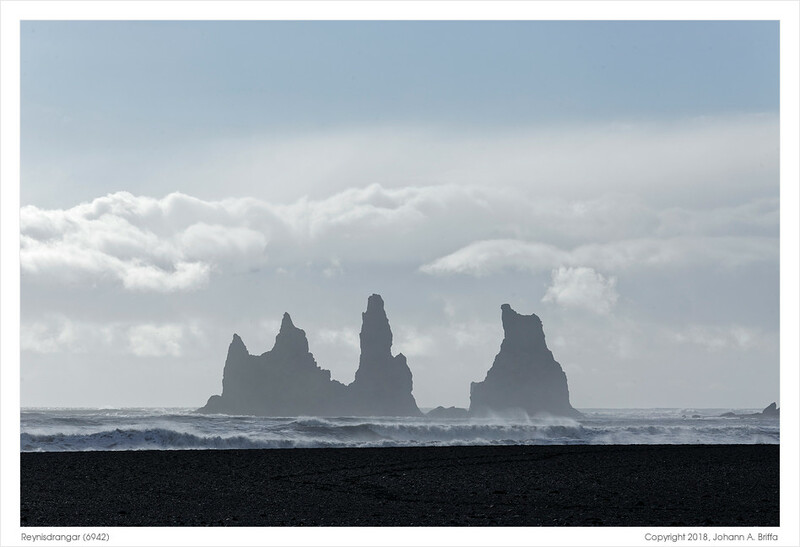 After a quick lunch we walked along the sea shore for a closer view of the sea stacks of Reynisdrangar and the cliffs. As I mentioned last week, the landscape on this stretch of coast is very particular, makes one feel like being in a fairy tale. It is no surprise that this place features in a number of local folk tales. The waves are notoriously strong, with only the open Atlantic beyond this beach, and add much to the atmosphere. I remember our guide made it clear that one should keep well away from the water’s edge as sometimes a freak wave will go much further inland than the rest, and can easily pull a person back. We were told people have died here. I know enough about the sea to respect it as a proper force of nature, so it didn’t take much to convince me.